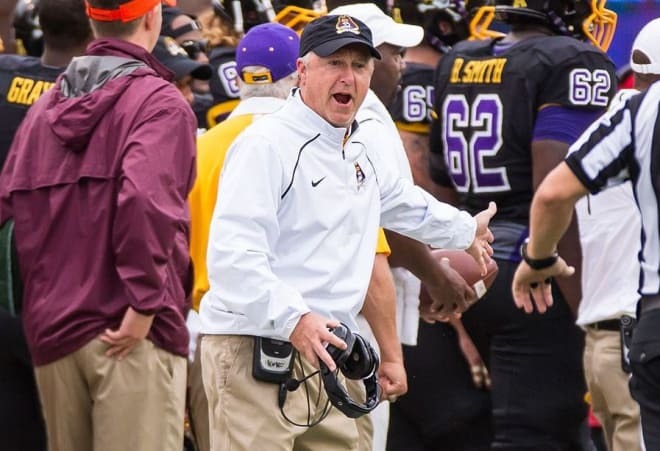 HARRISONBURG, Va. – Good read (see link below) on a local product from Caldwell County and a Lenoir-Rhyne University graduate who continues a stellar career as a college football coach at James Madison University. Donnie Lynn Kirkpatrick played multiple sports at old Granite Falls High as a junior and then did the same in 1977 when consolidation formed South Caldwell. His dad, Red, was the first Spartans head football coach and his brother, Marc, is about to enter his second season as head football coach at South Caldwell.